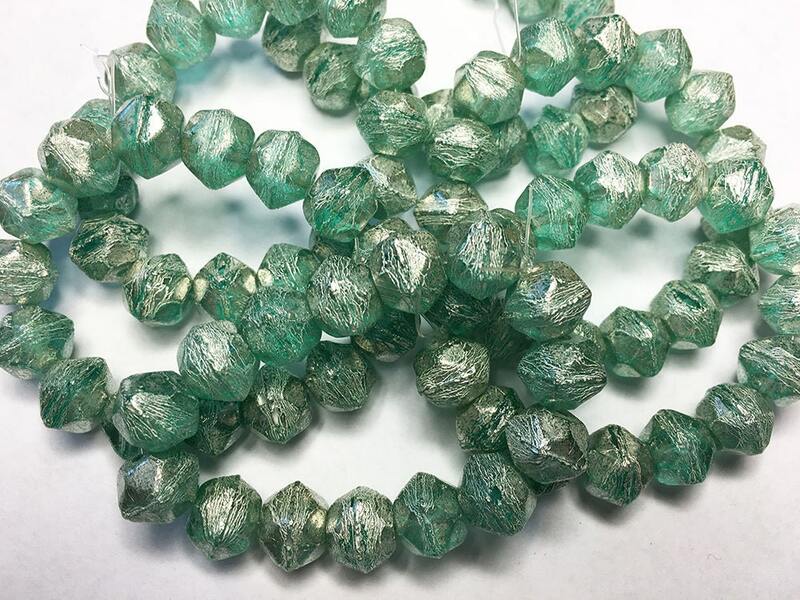 Green seafoam with mercury-look finish Czech pressed glass large English cut beads. These are 10mm in size. There are 15 beads per strand. Note: no mercury was used for the finish - it is merely a mercury-look finish.